This polished stone object with a hole bored through it was reportedly found at the Heights of Brae near Dingwall. It is part of the Dr William MacLean collection which comprises a range of objects collected by the Easter Ross doctor in the early 1900s and then donated to the National Museum in Edinburgh after his death. Objects of this nature are termed maceheads, although their exact function is unknown. They are often made from attractive stones, smoothed and polished to create beautiful objects. The hole suggests that they might have been displayed on a wooden haft. 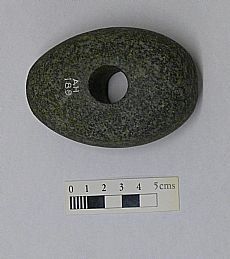 While they are capable of being used as offensive weapons, the careful choice of stone in many cases, the time needed to bore the holes, and the treatment to produce polished objects all suggest that they were often symbols of power. Maceheads have been found in Neolithic settlements like Skara Brae, but they are also known from chambered cairns. 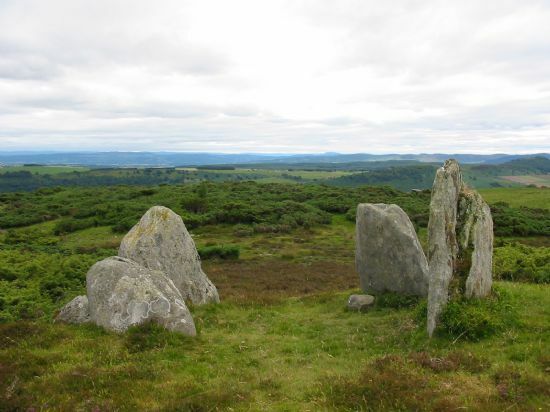 In this case, the nearby Heights of Brae chambered cairn which has been robbed and mutilated provides a possible original provenance for the object. Dating evidence of other examples suggest that they date from the middle to later Neolithic period (c. 3300-2500 BC). 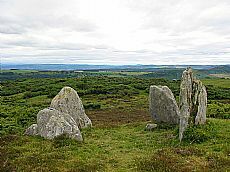 The Heights of Brae, now on marginal land, was clearly important in the prehistoric period, as shown by the chambered cairn, a profusion of round houses, some quite large, rock art and the Heights of Brae hoard, the largest surviving gold hoard in Scotland from the late Bronze Age. Clarke, D.V., Cowie, T.G. and Foxton 1985. A. Symbols of Power at the Time of Stonehenge, esp pp. 61-3, 255-7.